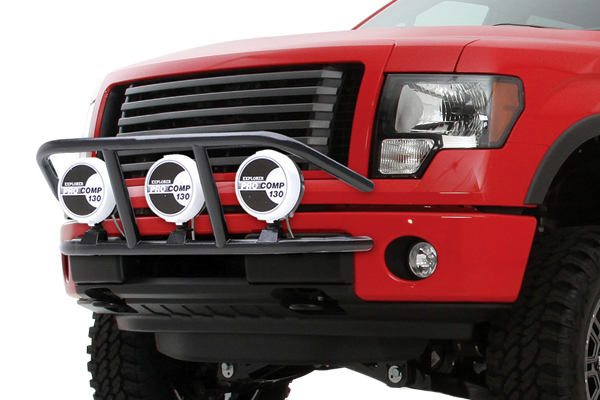 Driving lights and light bars for Ford F-150 - Ford F150 Forums - Ford F-Series Truck Community. No Off Road vehicle is complete until you have Off-Road Lights! It's a must have for any off-road enthusiast. Off road lights let you hit the trail safely in the nasty weather or cover of night. 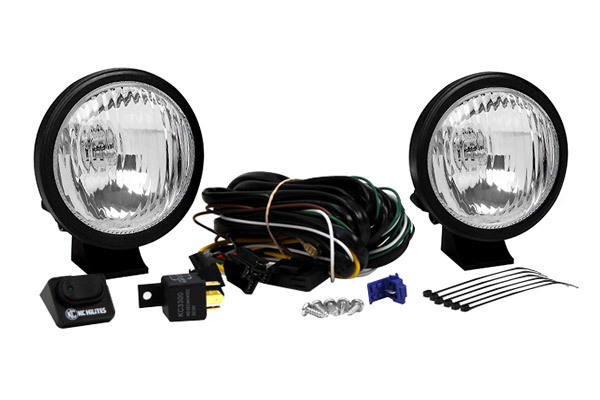 With heavy-duty casings and materials, these off road lights help blaze a trail through the mud and mess. Unlike factory vehicle lighting, off-road lights can be pivoted in any direction you choose to see down a sudden drop off, to the sides to see around switchbacks, or when you need to look up from a dip. 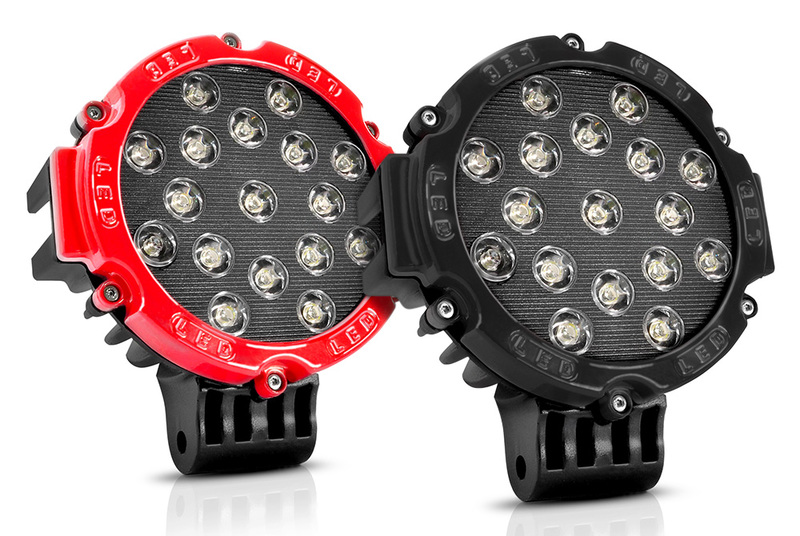 A strong lighting source from a high location allows you to make better decisions on the trails. Quality off-road lights should have lightweight composite construction so things don’t shift out of position or vibrate loose when bouncing around on the road. Higher-end lights offer the ability to focus and adjust the light beam for a wide or targeting one specific area with the intensity of a laser beam. Lumen® - 51 Watt LED Round Off-Road Driving Light mounts easily on any pre-drilled holes atop headache racks, bull bars, or grille guards. Total LED power: 51 watts from 17 radially mounted pencil beam LEDs. KC HiLiTES® - Apollo Lights have 6" Round Slim Housings fitted with 55W or 100W Halogen Bulbs. 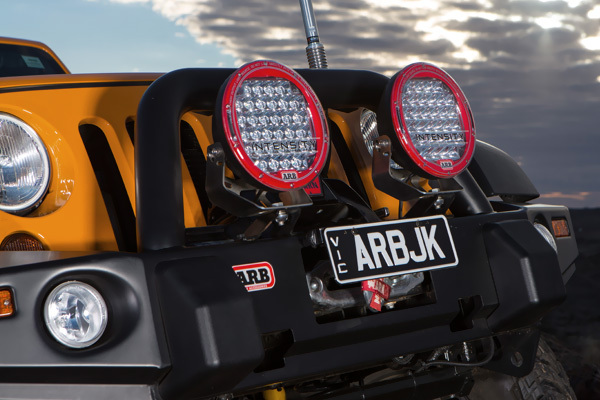 ARB® - Intensity LED Light are equipped with 90 Watts bulbs, have amp draw 6.25A @ 14.4V, 32 LEDs, 8200 raw Lumens. 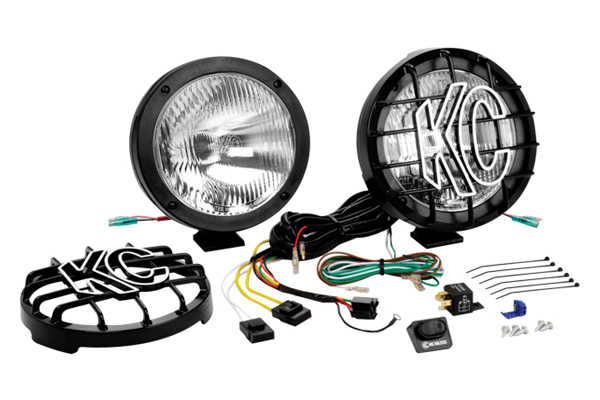 KC HiLiTES® - Pro Sport HID Lights have 6" or 8" Round Black Composite Polymax Housing and Super Bright 35W HID Bulb. Smittybilt® - RPD Light Bar includes 3 light mounting tabs for lights up to 9" in diameter, manufactured from 1.5" diameter 0.120" wall thickness steel tubing. 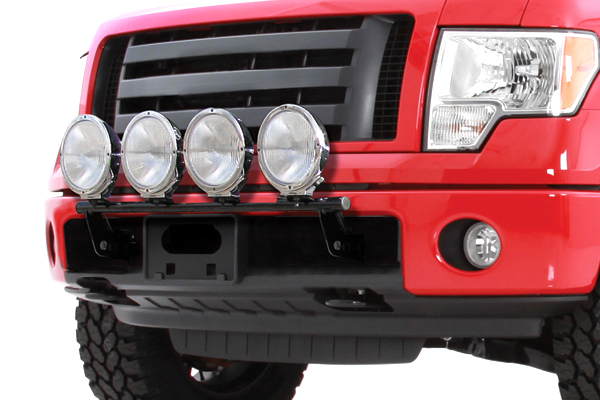 Smittybilt® - Street Light Bar includes 4 light mounting tabs that can accommodate up to a 9" diameter light, manufactured from 1.25" diameter 0.095" wall thickness steel tubing and have a high-gloss powdercoated finish. 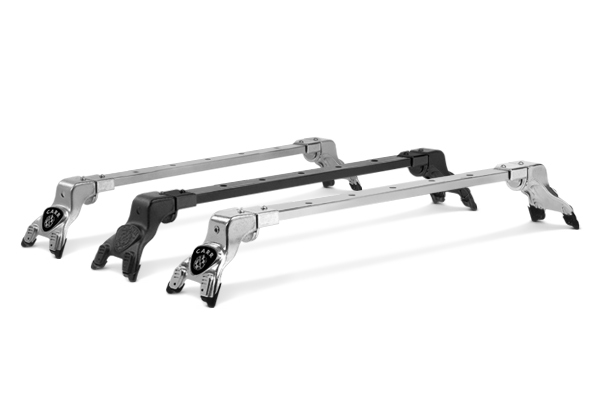 CARR® - Deluxe Light Bar holds up to 4 lbs of weight, have 7 pre-drilled holes for auxiliary lights and available in stylish XP4 Titanium Silver, XP3 Black, and XM3 Polished finishes.